Description: Scion 1000cc Fuel Injectors by Fuel Injector Clinic IS140-1000H. Fits 05-10 Scion tC, 04-06 Scion xA/xB & 08-15 Scion xB2. Fits both 1.5L 1NZFE and 2.4L 2AZFE engines. 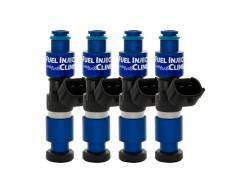 Description: Scion FR-S 1100cc Fuel Injectors by Fuel Injector Clinic IS144-1100H. Fits 13-16 Scion FR-S, Subaru BRZ and 16-17 Toyota 86. 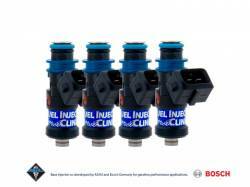 Description: Scion 1100cc Fuel Injectors by Fuel Injector Clinic IS140-1100H. Fits 05-10 Scion tC, 04-06 Scion xA/xB & 08-15 Scion xB2. Fits both 1.5L 1NZFE and 2.4L 2AZFE engines. 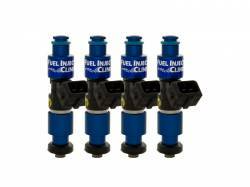 Description: Scion FR-S 1650cc Fuel Injectors by Fuel Injector Clinic IS144-1650H. Fits Scion FR-S, Subaru BRZ and Toyota 86. 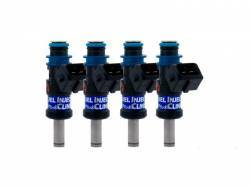 Description: Scion 1650cc Fuel Injectors by Fuel Injector Clinic IS140-1650H. Fits 05-10 Scion tC, 04-06 Scion xA/xB & 08-15 Scion xB2. Fits both 1.5L 1NZFE and 2.4L 2AZFE engines. 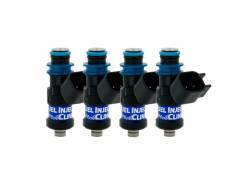 Description: Scion FR-S 2150cc Fuel Injectors by Fuel Injector Clinic IS144-2150H. Fits Scion FR-S, Subaru BRZ and Toyota 86. Description: Scion 2150cc Fuel Injectors by Fuel Injector Clinic IS140-2150H. Fits 05-10 Scion tC, 04-06 Scion xA/xB & 08-15 Scion xB2. Fits both 1.5L 1NZFE and 2.4L 2AZFE engines. Description: Scion 365cc Fuel Injectors by Fuel Injector Clinic IS140-0365H. Fits 05-10 Scion tC, 04-06 Scion xA/xB & 08-15 Scion xB2. Fits both 1.5L 1NZFE and 2.4L 2AZFE engines. Description: Scion 445cc Fuel Injectors by Fuel Injector Clinic IS140-0445H. Fits 05-10 Scion tC, 04-06 Scion xA/xB & 08-15 Scion xB2. Fits both 1.5L 1NZFE and 2.4L 2AZFE engines. Description: Scion 525cc Fuel Injectors by Fuel Injector Clinic IS140-0525H. Fits 05-10 Scion tC, 04-06 Scion xA/xB & 08-15 Scion xB2. Fits both 1.5L 1NZFE and 2.4L 2AZFE engines. Description: Scion FR-S 540cc Fuel Injectors by Fuel Injector Clinic IS144-0540H. Fits Scion FR-S, Subaru BRZ and Toyota 86. Description: Scion 650cc Fuel Injectors by Fuel Injector Clinic IS140-0650H. Fits 05-10 Scion tC, 04-06 Scion xA/xB & 08-15 Scion xB2. Fits both 1.5L 1NZFE and 2.4L 2AZFE engines. Description: Scion FR-S 660cc Fuel Injectors by Fuel Injector Clinic IS144-0660H. Fits Scion FR-S, Subaru BRZ and Toyota 86. Description: Scion 775cc Fuel Injectors by Fuel Injector Clinic IS140-0775H. Fits 05-10 Scion tC, 04-06 Scion xA/xB & 08-15 Scion xB2. Fits both 1.5L 1NZFE and 2.4L 2AZFE engines. 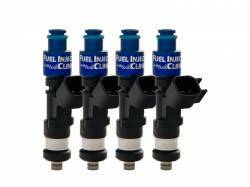 Description: Scion FR-S 850cc Fuel Injectors by Fuel Injector Clinic IS144-0850H. Fits Scion FR-S, Subaru BRZ and Toyota 86. Description: Scion FR-S 880cc Fuel Injectors by Fuel Injector Clinic IS144-0880H. Fits Scion FR-S, Subaru BRZ and Toyota 86.